Perfectly fresh fish. Especially the salmon and tuna tasted great. Affordable. Good for a quick lunch while on the go. I wouldnt go here for dinner though because it is not very cosy. 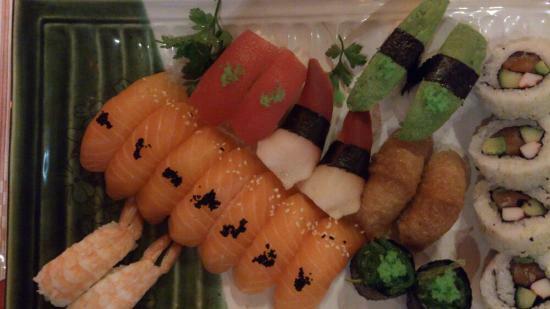 Wonderful, delicious sushi at a very reasonable price!! Service was very friendly and the decor in the restaurant was pretty cool. I ate here a few times during my stay in Stockholm and wish I could eat there again! Our favorite sushi place in town - they painted the walls it now is much nicer. Good and large sushi dishes, but I didn't enjoy the bento. Get quick answers from Sushi Bar Sapporo staff and past visitors.